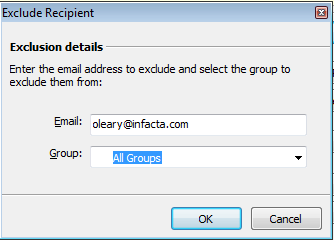 Creating a “Do Not Email” suppression list in GroupMail is easy. You can exclude individual email addresses, import lists for exclusion and even exclude entire @domains from your newsletter campaigns. 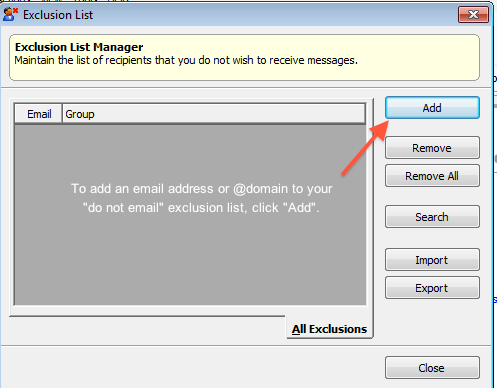 To create a “Do Not Email” suppression list in GroupMail, just open the GroupMail Exclusion List Manager. 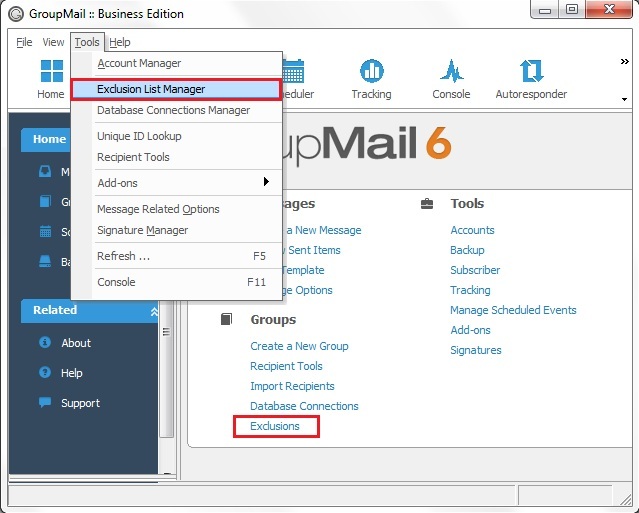 You can add email addresses to your exclusion list manually by clicking the Add button. 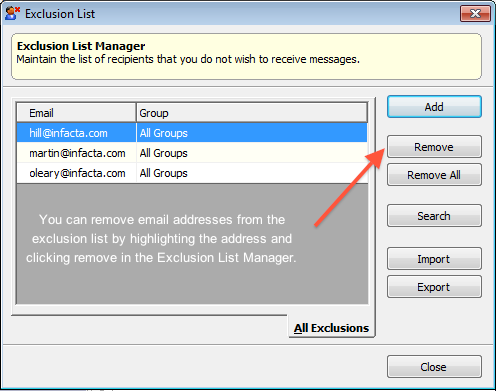 When adding email addresses or @domains to the exclusion list, you can elect to have them excluded only from campaigns sent to a specific group(s) or from messages sent to All Groups. 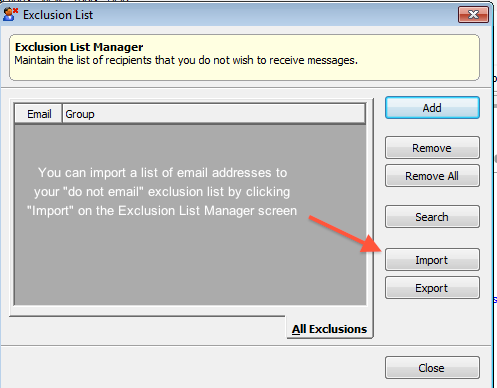 If you have an existing “Do Not Email” list saved, you can import the entire list quickly into GroupMail’s exclusion list by clicking Import. 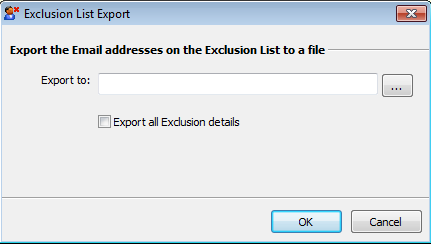 You can import email addresses from a file or from Windows Clipboard (if you just want to copy a list of email addresses to add from another location.) 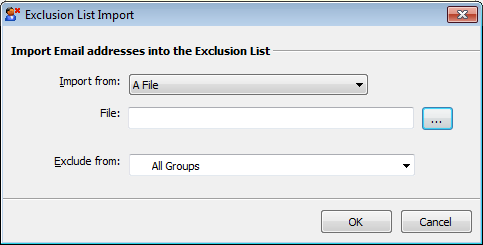 Again, you can choose to exclude the list from a specific group or from All Groups. Click OK to start the import. You can remove email addresses from your “Do Not Email” suppression list at any time by highlighting the address(es) and clicking Remove. As always, if you have any questions or need any help along the way, contact the GroupMail support team. Interested? It will only take a few minutes to download GroupMail Newsletter Software and get your mailing lists organized for your next campaign.